In the 1970s sitcom The Odd Couple, Felix and Oscar argue over a racing greyhound that Oscar won in a bet. Animal lover Felix wants to keep the dog as a pet; gambling enthusiast Oscar wants to race it. This dilemma fairly reflects America's attitude toward greyhound racing. This book, the first cultural history of greyhound racing in America, charts the sport's meteoric rise-and equally meteoric decline-against the backdrop of changes in American culture during the last century. Gwyneth Anne Thayer takes us from its origins in "coursing" in England, through its postwar heyday, and up to its current state of near-extinction. Her entertaining account offers fresh insight into the development of American sport and leisure, the rise of animal advocacy, and the unique place that dogs hold in American life. Thayer describes greyhound racing's dynamic growth in the 1920s in places like Saint Louis, Chicago, and New Orleans, then explores its phenomenal popularity in Florida, where promoters exploited its remote association with the upper class and helped foster a celebrity culture around it. By the end of the century media reports of alleged animal cruelty had surfaced as well as competition from other gaming pursuits such as state lotteries and Indian casinos. Greyhound racing became so suspect that even Homer Simpson derided it. 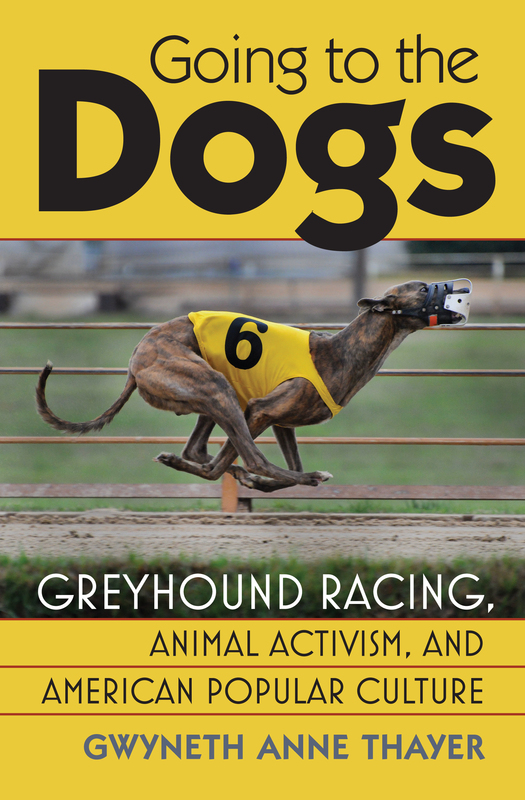 In exploring the socioeconomic, political, and ideological factors that fueled the rise and fall of dog racing in America, Thayer has consulted participants and critics alike in order to present both sides of a contentious debate. She examines not only the impact of animal protectionists, but also suspected underworld ties, longstanding tensions between dogmen and track owners over racing contracts, and the evolving relationship between consumerism and dogs. She captures the sport's glory days in dozens of photographs that recall its coursing past or show celebrities like Frank Sinatra and Babe Ruth with winning racing hounds. Thayer also records the growth of the adoption movement that rescues ex-racers from possible euthanasia. Today there are fewer than half as many greyhound tracks, in half as many states, as there were 10 years ago-and half of them are in Florida. Thayer's in-depth, meticulously balanced account is an intriguing look at this singular activity and will teach readers as much about American cultural behavior as about racing greyhounds. Gwyneth Anne Thayer, Associate Head of Special Collections at the North Carolina State University Libraries, became interested in the culture and history of greyhound racing after adopting an ex-racing greyhound.